After bravely battling cancer for three years Donald Watkins Sr. has gone home to God, who has healed Donald forever. He was born in 1933, a lifelong resident of Lockport. He was the son of Joseph Mills and Cecelia Newman Watkins. He graduated from Lockport Senior High School in 1953. 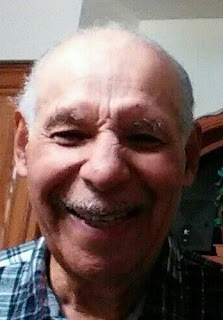 He worked at Harrison Radiator, Inc. a division of General Motors for 35 years in general production, plant security, supervision and retired as a machine attendant. He was a Republican and a patriot who always believed in the American dream. He loved to work outdoors and perform other handyman projects. He was a fan of NFL Football and boxing. He was a long time member of All Saints Parish and St. Patrick’s Church. He is survived by his loving wife, Jessie, his son Deacon Don, his brother David a.k.a. “Timmy” (Wilma) Watkins of Corpus Christi, TX, Mary (Pastor Jim) Kiner, daughters Richard, Verna, Doris, Judy and Caroline. He is also survived by several nieces, nephews, and several grandchildren. He was predeceased by his first wife, Theresa (nee Lyons) Watkins, three daughters, Donna, Rosalind and Beverly, his sisters Cecelia (James) McClain, Rebekah (Alvin) Robinson, his brothers Fred Rose, Jimmy Rose and Keith Rose. Relatives and friends may call Thursday, Dec. 6th from 2-4 and 7-9 PM in Prudden & Kandt Funeral Home, 242 Genesee St., Lockport. A Mass of Christian Burial will be celebrated Friday, Dec. 7th at 1 PM in All Saints Parish, 76 Church St., Lockport. Interment will be in Glenwood Cemetery. Visit pruddenandkandt.com.